As many of us know, medical negligence has reached staggering heights – it is indeed one of the leading causes of death in the United States and, according to one study, between 210,000 and 440,000 needless deaths of patients have been reported each year in the USA alone. If tracked in the same manner as real diseases, preventable errors and complications would rank as the third leading cause of death in the United States. This is undoubtedly a disaster of epidemic proportions. 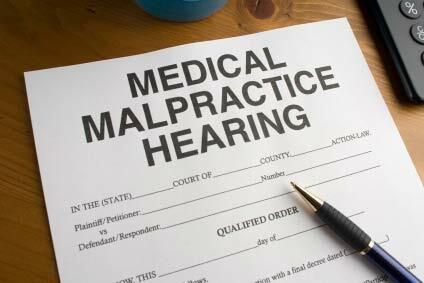 You only need to do a quick search for “medical negligence” to see how many law firms deal especially in cases where the industry has messed up. Our system needs a huge wake up call and those involved need to be held accountable. I hope that together we can make this happen – at least for just one man to receive justice. I am about to share with you one of those real life cases of negligence that, I am sure, will leave you as horrified as I was. When Bobby Russell visited the ER at The University of Kentucky Medical Centre in 2004 for unexplained bleeding, he had no idea that his whole life – in pretty much every way – was about to turn completely upside down. From that hospital visit, Bobby eventually became diagnosed with HIV and spent the next 8 years taking HAART (highly active antiretroviral therapy) drugs every day, as per the advice from his doctors. After receiving what is perhaps one of the “worst possible diagnoses,” Bobby felt deeply ashamed and even stopped talking to his entire family. When his friends were told he was HIV positive, they soon stopped calling and Bobby found himself on his own. Bobby also spent almost a decade thinking that at some stage, he was going to die sooner than he should. Bobby started feeling very ill and became so depressed that, not surprisingly, he seriously contemplated suicide. Before he visited that ER that fateful night in 2004, Bobby had previously had HIV tests which always came back negative. But here is the real clincher – Bobby was not actually infected with HIV and the hospital and doctors involved had no proof that he was. This massive mistake cost Bobby his family, friends, career – and is now risking his health because he took highly toxic medications he simply did not need for almost a decade. How Did He Find Out He Wasn’t HIV Positive? Bobby, now a military veteran, ended up being so stressed and sick (who wouldn’t be when you are told you are “probably” going to die from eventual AIDS), that he tried to claim medical benefits for himself, as he was not able to continue working. When the Veteran’s Administration told him that he would need to provide the proof of a positive diagnosis to receive his benefits, he went to the hospital, for what seemed like a routine request. However, his doctors were unable to provide him with any proof whatsoever. Bobby was gobsmacked – he was told by his doctors back in 2004 that he was HIV positive! How could it be that they didn’t have the proof? In 2012, Bobby took a new HIV test at the Bluegrass Care Clinic and the results came back negative. Bobby was shocked – and of course started looking into legal action towards all involved so they could be held accountable for this dreadful mistake. I don’t blame him and I am sure you don’t either. To this day, when the hospitals and doctors involved are contacted regarding Bobby’s story, they say he was “not misdiagnosed,” but cannot provide the proof he was HIV positive. They also won’t comment any further. As is quite common with HIV positive people, out of concern for the risk of spreading HIV to others, many seek out partners who have the same diagnosis. Bobby had several relationships with HIV positive people and, ironically (as one lady commented in a Daily Mail article), he risked himself actually becoming HIV positive. Think about that for a moment. Bobby didn’t actually have HIV, but because he was told he did, he thought he was doing the right thing for himself by having relationships with other HIV people – all due to the advice from his doctors. Wow. Horrific, right? See the video below from the guys at Source Feed about Bobby’s story. 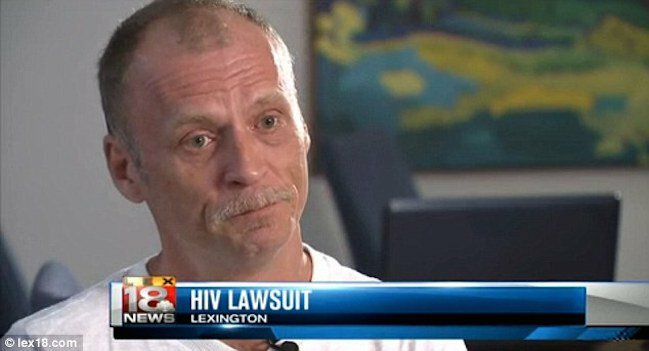 According to their lawsuit, the tests to confirm he had the HIV virus were never carried out by anyone and the other routine tests carried out since his first alleged diagnosis back in 2004 showed either negative or “indeterminable” results – which Bobby was unaware of until the hospital surrendered his own medical records to him in 2012. Bobby says the defendants were negligent in misdiagnosing him and negligent in failing to order the appropriate tests for HIV. He now wants a trial by jury and to receive an award for compensatory damages a jury deems appropriate. Speaking to the Lexington Herald Leader, he said: “I feel like I was sentenced to a crime I wasn’t guilty of. I have intentionally put distance between my family and my friends because I thought I was dying, and I didn’t want my family to see me dying. I didn’t want my nieces and nephews see me deteriorating. While it could be said that, indeed, it’s truly wonderful that Bobby is not HIV positive, this new diagnosis hasn’t instantly made his life better. He hasn’t been able to reestablish a good relationship with his family – too much time has passed – and for the past 8 years he has been taking medications that were simplynot needed for his body. Tragically, Bobby today is now at risk of developing other health problems associated with the toxic effects from the HAART medications. 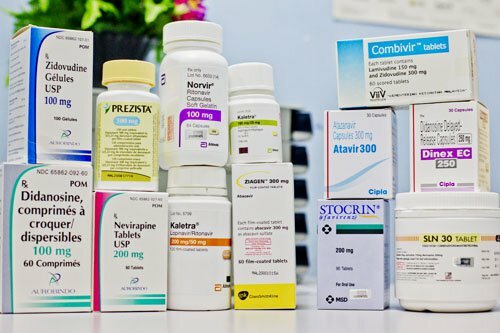 These drugs aren’t your average over-the-counter drugs – they are available only by prescription and have clearly listed adverse reactions and side effects. The fact that Bobby took these for almost a decade is very concerning because a non-HIV person should NOT be taking these medications. Today, Bobby is still not well enough to work, and can barely afford to support himself. He needs money to sue and money to get his health back on track. He needs to start taking supplements which can help repair some of the damage done by these drugs. This is not a case of someone taking some standard over the counter drugs for nearly 9 years – this is almost a decade of taking some of the most extreme medications on the planet. While side effects of HAART treatment vary considerably between individuals and the particular medicines making up their therapy, the most common side effects include diarrhea, nausea, and vomiting (‘Side effects’). Lipodystrophy is another common side effect of HAART treatment in which fat is redistributed to other parts of the body (Ammassari 2001). Often in this condition, face and limbs become thin while one’s breasts, stomach and/or neck enlarge. Hyperglycemia and onset of diabetes have also occurred in a significant number of HAART patients. Liver toxicity including liver failure, pancreatitis and neuropathy are other unpleasant and potentially life threatening side effects experienced by some patients. These side effects can amount to such a physical and psychological burden that patients skip doses or stop taking their medications all together which increases the likelihood of drug resistance developing. In fact, about 25% of patients stop therapy within the first year on HAART because of side effects (d’Arminio Monforte 2000). Reconstitution of the immune system, a major goal of HAART treatment, may even carry risks in some patients. A debilitating inflammatory syndrome has recently been linked to HAART treatment (Stoll and Reinhold 2004). Frightening information, isn’t it, considering Bobby was never HIV positive. He took these drugs for 8 years until he found out he never had HIV in the first place.It is easy to imagine what these drugs may have done to Bobby’s health and what it may take to repair the damage. Here is the part of the story that, I can easily admit, made me cry. Before Bobby was misdiagnosed, he was about to have a child with a friend. They had discussed this in great detail and planned to have a baby together. After his HIV diagnosis he knew that this would not be possible. Now Bobby is 45, and his chances of becoming a father are – as I am sure you can appreciate – pretty slim. How can he support a child without being able to financially support himself? How could he get the adoption services to allow him to adopt a child when they know his story and his financial position? Bobby had his chance at having his own family ripped away from him that day back in 2004. And I find this unforgivable. As a mother myself, where every day I experience joyful moments with my daughter, I can’t think of anything worse than not being able to experience this gift – nothing else in life even comes close to the love of your own child – because of a mistake made by the medical industry. Bobby only found out in September 2014 that he was never found to be HIV positive. It’s clear that he has only known about this problem for less than a year. I don’t know about you, but I’m personally sick of hearing about people needlessly suffering due to our broken medical system. I am also sick of seeing how rarely this industry is held accountable, with people having their cases thrown out long before proper evidence is provided. I am tired of seeing innocent people having their lives in ruins and it breaks my heart knowing that the only thing holding them back from getting justice and moving forward in their lives is, typically, money. I want to ask you all to to consider Bobby’s case and try to think about how it would have ruined your life if you too had been given a false HIV diagnosis. Would you have wanted to commit suicide too, or perhaps may have actually done so? Would you have had your right to have a child of your own ripped away from you? Would your family have possibly deserted you too? Would your health have been seriously harmed due to medications you simply did not need to take? As I am sure you can appreciate, Bobby needs quite a large amount of funding to help him get his case heard in court. It won’t be easy to fight the powerful system that is the medical industry. Legal fees can be astronomical if you plan to fight it the whole way through. Bobby also needs to start taking some high quality supplements each month to help him get his health on track, and he has to do this ASAP. What people also don’t generally know about HAART drugs is that they give patients doses of chemotherapy which, as we know, have some seriously concerning effects. They can actually cause cancer, for one thing. Studies done on rats who were given HAART drugs were shown to produce tumours. I probably don’t need to spell it out to you that Bobby’s health is still very much in peril.